21 MarThe LaffCo. 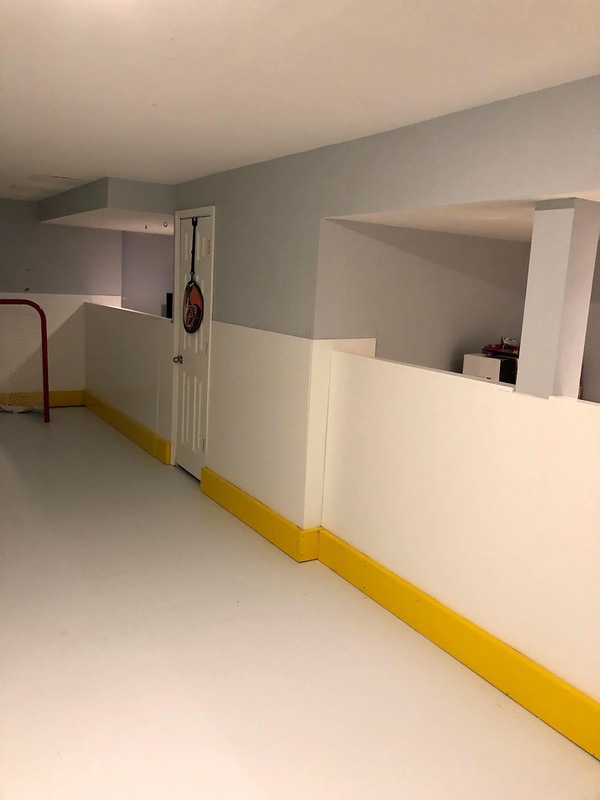 Touch Brings Basement Hockey Rink To Life! 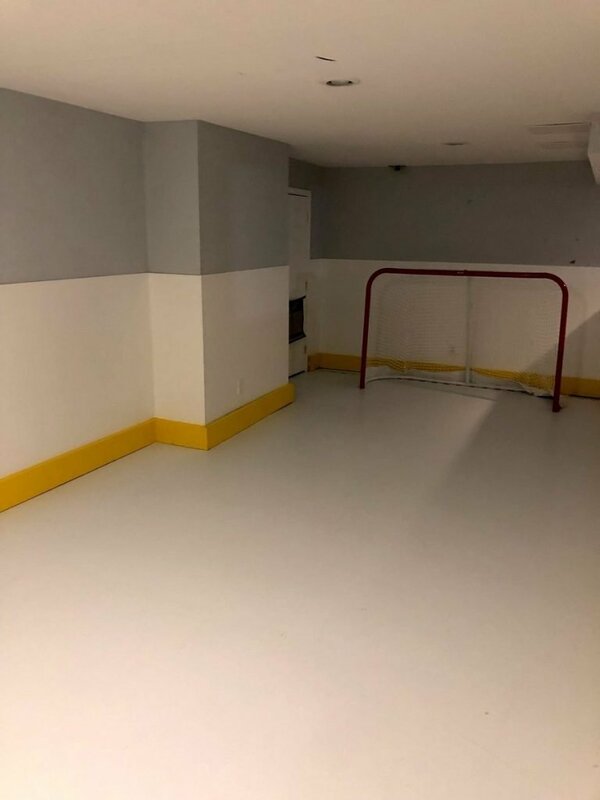 ﻿ ﻿Having a hockey rink in the basement is probably every young kids’ dream. 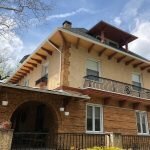 This family in Lower Gwynedd made that dream a reality! It was up to LaffCo. Painting to put on the final touches and bring that hockey rink to life. Our team of experts love rolling up their sleeves for creative jobs like this one! 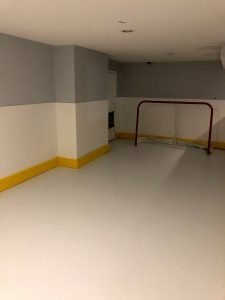 The family had synthetic ice installed in their basement, which is the perfect surface for an indoor rink. They used pine plywood and 2×6 boards for the hockey board to really make it feel like an arena and protect the walls from potential flying pucks. Once everything was installed, the LaffCo. team headed over, paint in hand, ready to transform the basement into a hockey arena! Nothing could come in contact with the synthetic ice, so we carefully protected it before getting started. We then painted the plywood and boards to make them look just like hockey boards. Keeping meticulous throughout, our team had so much fun seeing everything come together. 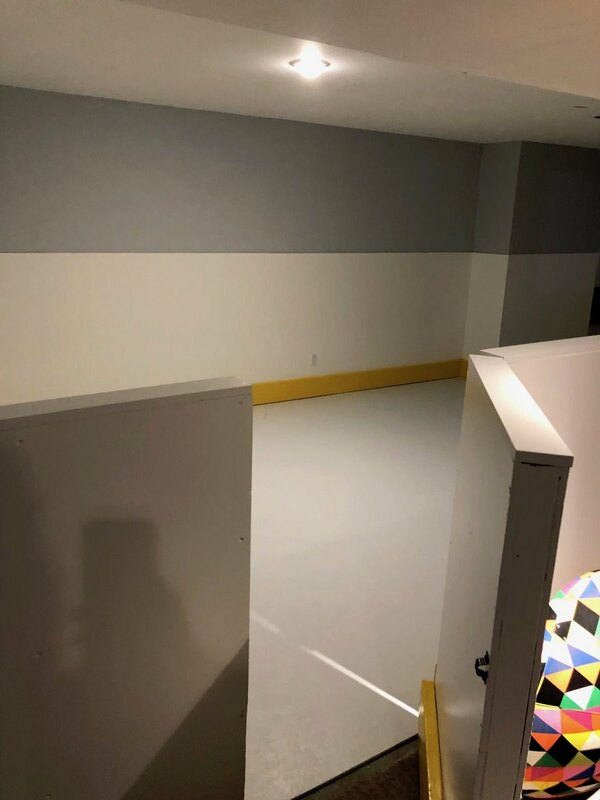 With a final touch of paint, the family had a home hockey rink and quite possibly one of the coolest recreational rooms we’ve seen! 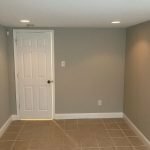 Have a painting project in mind? Get in touch with LaffCo. 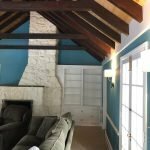 Painting for a free quote today!